We usually think highly about ourselves, tending to believe that our prosocial nature prioritizes positive emotions about others. Yet, as highlighted by Hardin’s Tragedy of the Commons, this is not always true. Empathy (that is, the ability to become attuned with others’ feelings) is the basis of cooperation and one of the core links holding human groups together. However, the vast spectrum of human affect includes counter-empathic emotions, complex physiological and neurocognitive states that contradict the naïve view of human empathy. These particular emotions emerge in scenarios that prompt social comparisons, constrained by implicit conceptions of the social order and shaped by contextual requirements. All of us are well acquainted with at least two of these counter-empathic emotions, namely, Schadenfreude and envy. On the one hand, Schadenfreude (a German word referring to gloating) is an emotional state characterized by pleasure at someone else’s misfortune. For instance, a subject might experience Schadenfreude when his rude, abusive boss suddenly stumbles and falls in front of a crowd (so that satisfaction supersedes empathic concern and a caring reaction to his pain). On the other hand, envy is an emotional state marked by displeasure in the presence of another person’s success. For instance, envy might be experienced when a colleague finds a solution to a long-standing problem in your department and earns a promotion. Counter-empathy emotions have been the subject of study in the social sciences, including classical works in sociology or philosophy. Despite differences in definition and scope, all these inquiries acknowledge their multidimensional and complex nature. Schopenhauer (1788-1860) described Schadenfreude as a most obscure expression of human emotionality. Alternatively, Nietzsche (1844-1900) referred to it as a good-natured emotion expressed in response to principles of fairness. Nowadays, the study of counter-empathy emotions has attracted the interest of researchers in several other fields seeking to illuminate the complexity of social-emotional states in daily human activity. However, several key issues remain poorly understood. For instance, there is no consensus on which situations can modulate Schadenfreude and envy, let alone which neurocognitive factors lie at the core of these emotions. Moreover, most studies to date have considered those emotions as unified or monolithic experiences. Yet, as is the case with other emotional experiences, Schadenfreude and envy can manifest in clearly different ways depending on the situations that elicit them. In other words, little is known about the various dimensions of these counter-empathy emotions. when seeing that someone is discovered as denounced for being corrupt. seeing that someone avoids a fine by bribing a police officer. Evidently, the source of these situations is diverse, considering that the first examples proposed each emotion involve notions of deservingness, whereas the other situations imply notions of fairness and justice. Building on this field of research, we created a novel task to explore three different dimensions of Schadenfreude and envy, including dimensions of deservingness, morality, and legality. In particular, we studied the neurocognitive correlates of such dimensions in both emotions, relying on a well-documented neurodegenerative lesion model comprised by patients with behavioral variant frontotemporal degeneration (bvFTD). Patients with bvFTD usually exhibit impairments in empathy and emotion processing, as well as alterations in social behavior and a proclivity towards illegal and immoral conduct. Those alterations have been associated to atrophy of frontal, temporal, and insular brain areas, all of which are implicated in processing of counter-empathy emotions. We assessed these patients’ emotional responses to situations dominated by different dimensions of Schadenfreude and envy, and compared them to those elicited in a group of healthy subjects and a group of patients with early-stage Alzheimer’s disease (AD) – another form of dementia which offered a contrastive neurodegenerative model. Results of our study showed different emotional responses for both types of emotion depending on their governing dimension (deservingness, morality, or legality). Specifically, situations with prominent amoral and illegal components yielded higher emotional engagement than those dominated by notions of deservingness. In addition, relative to healthy subjects and AD patients, bvFTD patients presented exacerbated feelings of Schadenfreude and envy in all emotional scenarios. This pattern aligned with our predictions, given that those patients present more anti-emphatic behaviors and they tend to be more engaged in moral and legal violations. Also, the increase of these emotions was associated with alterations in tests that measure empathy and other cognitive functions, such as cognitive control and inhibition. In addition, emotional responses in bvFTD were also associated to atrophy of frontal, temporal, and subcortical brain regions, which are part of a network implicated in cognitive processes that integrate social information. Taken together, our findings reinforce the multidimensional nature of Schadenfreude and envy, highlighting the importance of analyzing subtle variations of ecological emotional experiences for a better comprehension of human affectivity. The study of counter-empathy emotions appears to be a new pathway for examining relevant interactions between cognitive, moral, and emotional processes in healthy subjects and in neuropsychiatric disorders. In addition, our study provides unprecedented evidence of an exacerbated experience of counter-empathy emotions in bvFTD patients, which could be considered as a new behavioral hallmark in this population. In particular, performance in counter-empathic emotions may help clinicians identify patients with neurocognitive disorders with mixed cognitive and early behavioral alterations. Finally, our study invites new research on the multidimensional nature of socially relevant emotions. Furthermore, it opens new avenues to assess the interplay of cognitive processes and social behaviors during complex emotional processes in healthy populations, and to develop novel markers for characterizing and predicting clinical outcomes in patients with neuropsychiatric disorders. Featured image credit: Neurons by geralt. CC0 public domain via Pixabay. Dr. Hernando Santamaría García is psychiatrist and PhD in cognitive neuroscience. He works in the field of social cognition in healthy subjects and patients with neuropsychiatric disorders. He is Assistant Professor of Psychiatry and Physiology at the Pontificia Universidad Javeriana, and researcher at the Center of Memory and Cognition at the Hospital Universitario San Ignacio (Bogotá Colombia). Dr. Adolfo M. García specializes in the neuroscience of language. He is the Scientific Director of the Laboratory of Experimental Psychology and Neuroscience, at the Institute of Cognitive and Translational Neuroscience (Argentina). He is also Assistant Researcher at the National Scientific and Technical Research Council (Argentina), Adjunct Professor of Neurolinguistics at the Faculty Education of the National University of Cuyo (Argentina), and a visiting professor in universities across Asia, Europe, and Latin America. Dr. Agustín Ibáñez is the Director of the Institute of Translational and Cognitive Neuroscience (INCYT, Argentina); independent researcher of the National Scientific and Technical Research Council (CONICET, Argentina); researcher of the Universidad Adolfo Ibanez (Chile); and Associate Investigator of the ARC Centre of Excellence in Cognition and its Disorders (CCD, Australia). 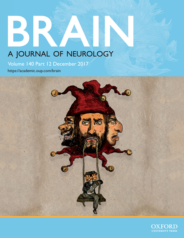 Hernando, Adolf, and Agustin are authors on the article: "A lesion model of envy and Schadenfreude: legal, deservingness and moral dimensions as revealed by neurodegeneration" published in Brain: A Journal of Neurology.